Nemetschek Vectorworks, Inc., the leading developer of industry related CAD and BIM software, just introduced the localized versions of Vectorworks 2015 in German, French, Dutch, Italian, Portuguese and Norwegian. The series of Vectorworks 2015 products contain Designer, Architect, Landmark, Spotlight, Fundamentals and Renderworks. 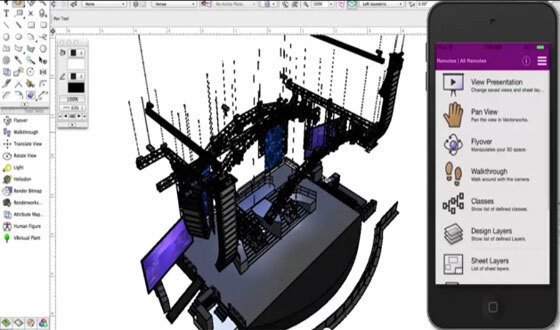 The Vectorworks 2015 software comes up with over 100 updates and advanced features covering the segments like architecture, BIM, urban planning and entertainment design. Besides, the Vectorworks 2015 product line is equipped with 64-bit version that facilitates the users to easily manage bigger projects and superior performance and constancy. There will be also a ground-breaking graphical improvement to the Vectorworks Graphics Module (VGM) with enhanced performance, stability, and unmatched graphical control.